Arabella Steinbacher brilliert bei Strauss: Arabella Steinbacher hatte seit jeher ein sehr persönliches Verhältnis zur Musik von Richard Strauss. Diese spielte schon seit ihrer Kindheit eine große Rolle in ihrer musikalischen Familie, und nicht zuletzt entstammt der Vorname der Geigerin, Arabella, von der Vorliebe ihrer Eltern für die gleichnamige Strauss-Oper. 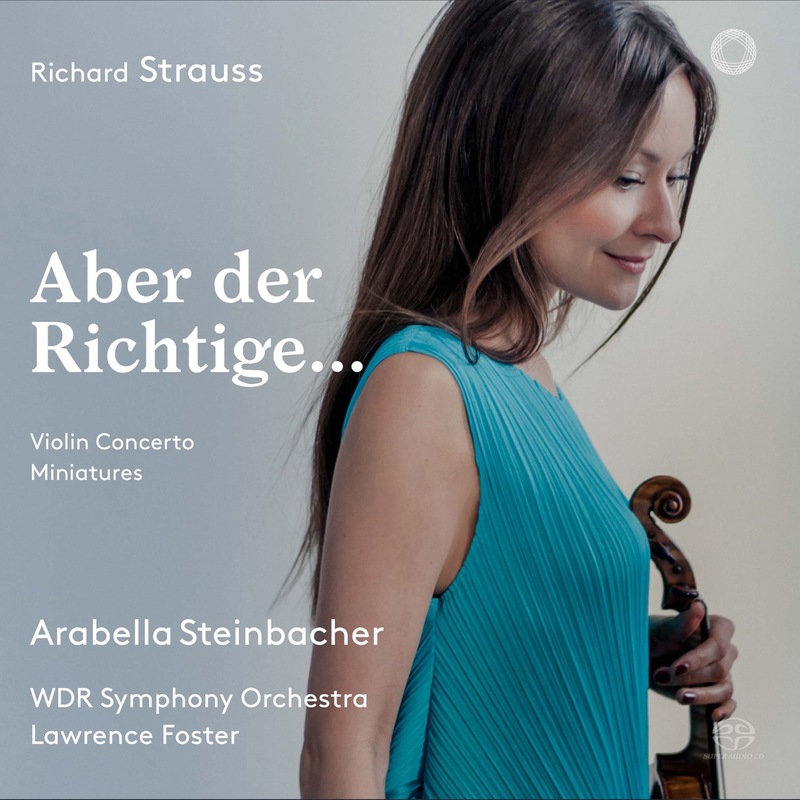 Auf diesem neuen Album spielt Arabella Steinbacher mit dem ausgesprochen selten zu hörenden Violinkonzert Strauss’ einzige Komposition für Violine und Orchester, ergänzt durch populäre Strauss-Lieder, bei denen die Violine den »Gesangspart« übernimmt sowie weitere, interessante Transkriptionen. 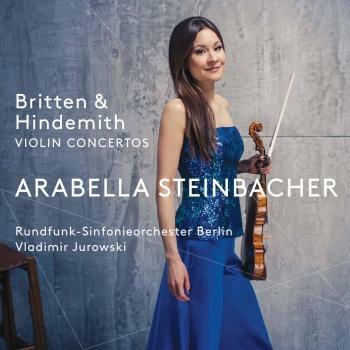 Since her extraordinary and unexpected debut in Paris in March 2004, when she stepped in on short notice for an ailing colleague and performed the Beethoven Violin Concerto with the Orchestre Philharmonique de Radio France under Sir Neville Marriner, German violinist Arabella Steinbacher has become a fast-rising star on the international concert scene. Arabella Steinbacher’s diverse repertoire includes more than twenty concertos for violin. In addition to all of the major concertos of the Classical and Romantic period, she also performs those of Barber, Berg, Glazunov, Khatchaturian, Milhaud, Prokofiev, Schnittke, Shostakovich, Stravinsky, Szymanowski, and Hartmann. Arabella Steinbacher records for ORFEO International. In 2007, Ms. Steinbacher received an ECHO-Klassik Award for Young Artist of the Year for her album, Violino Latino, a collection of a Spanish and South-American works performed with pianist Peter von Wienhardt. In addition, her recording of Shostakovich’s Violin Concertos No. 1 and No. 2 was named among the October 2007 “Les Chocs du Mois” in Le Monde de la Musique. She received the German Record Critics Award in 2005 for her recording of Milhaud’s rarely-heard Violin Concertos No. 1 and No. 2, and Concertino de Printemps; and again in 2006 for her Shostakovich disc. Her next CD for ORFEO, a recital recording of works by Ravel, Poulenc and Fauré, will be released in the spring of 2008. In November 2007, Ms. Steinbacher made her debut as soloist with a major American orchestra, performing the Sibelius Violin Concerto with the Chicago Symphony Orchestra under Christoph von Dohnányi. The Chicago Tribune reported, “From her magical entry over hushed orchestral strings to the biting swagger she brought to the dancing finale, it was evident that her feeling for this music runs as deep as her technical command. The central Adagio came off especially beautifully, Steinbacher conveying its brooding melancholy with a rich vibrato, impeccable intonation and a remarkable breadth of phrasing. The sound she drew from her 1716 'Booth' Stradivari stood out from the orchestra: limitless tonal depth swaddled in velvet. Let's have her back, and soon.” In conjunction with the concert, Ms. Steinbacher was featured in MUSO magazine, The Strad, Time Out Chicago, and Chicago magazine. Other highlights of Ms. Steinbacher’s 2007-2008 season included debuts with the NHK Symphony Orchestra under Sir Neville Marriner (broadcast live on national television and radio), the Vienna Symphony Orchestra under Fabio Luisi, the Orchestre National de Belgique under Walter Weller, the Orchestre de la Suisse Romande under Marek Janowski, and the Orchestra Nacionales de Espana under Mark Albrecht. 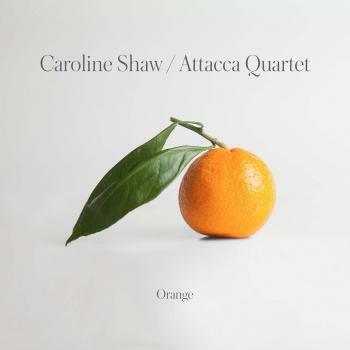 She also toured with Vladimir Ashkenazy and the European Youth Orchestra, performing in cities including Bucharest, Vienna, Liverpool and Bratislava. On July 12, 2008, Ms. Steinbacher opened the Schleswig-Holstein Musik Festival in Germany, performing with the NDR-Sinfonieorchester led by Christoph von Dohnányi. 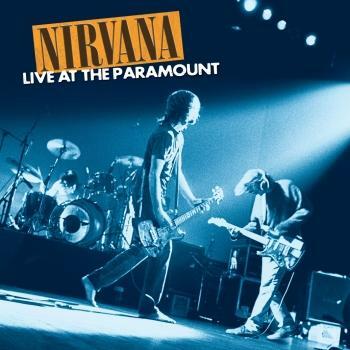 The concert was broadcast live on national television and radio. Highlights of Ms. Steinbacher’s 2008-2009 season include her debut with the Pittsburgh Symphony Orchestra under Marek Janowski, her debut with the Philharmonia Orchestra under Charles Dutoit, her official subscription series debut with the NDR-Sinfonieorchester under Christoph von Dohnányi, and her debut with the Academy of St. Martin in the Fields under Sir Neville Marriner. In addition, she will perform at the Maggio Musicale in Florence, and in December 2008 will make her recital debut at the Theatre de Champs Elysee. Ms. Steinbacher will also appear with the WDR Symphony Orchestra, the City of Birmingham Symphony Orchestra, the Sydney Symphony, Prague Symphony Orchestra, and the National Orchestra of Belgium. 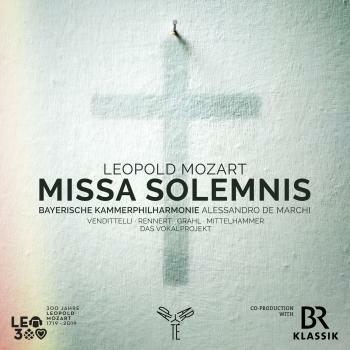 She will perform during the Beethoven Easter Festival in Prague, and tour with Kammerphilharmonie Bremen. In May 2009, she will perform four concerts with the Netherlands Philharmonic at the Concertgebouw in Amsterdam, and then tour Spain with that orchestra. In June, she will perform Sofia Gubaidulina's Offertorium with the Orchestre de l'Opéra de Paris at Salle Pleyel in Paris under Christoph von Dohnányi; in October, she will perform at the Gewandhaus in Leipzig with the Leipzig Gewandhaus Orchestra under Riccardo Chailly, following a tour of Asia. Future highlights include an appearance with the Bayerischer Rundfunk Orchester with Sir Colin Davis and a tour of Germany with the Philharmonia Orchestra under Lorin Maazel during the 2009-2010 season. Arabella Steinbacher has already appeared with leading international orchestras including the St. Petersburg Philharmonic, the Orchestra of the Mariinsky Theatre, The London Philharmonic, the City of Birmingham Symphony Orchestra, the New Japan Philharmonic, the Orquesta Sinfónica de la RTVE of Madrid, the Orchestre Philharmonique de Radio France, the Orchestra of the Bayerische Rundfunk, Deutsches Sinfonie-Orchester Berlin, the WDR Orchestra of Cologne, the Munich Philharmonic Orchestra, the Rundfunk-Sinfonieorchester Berlin, the MDR-Sinfonieorchester, the Prague Symphony Orchestra, and the Royal Danish Orchestra. Highlights of past seasons have included a critically acclaimed tour of Germany with the St. Petersburg Philharmonic Orchestra under the direction of Yuri Termirkanov, a tour of the United States with the London Philharmonic Orchestra, a Tokyo debut with the New Japan Philharmonic, a recital debut at the Tonhalle in Zürich, a performance of the Berg violin concerto at the Beethoven Festival in Warsaw, and a performance of the Beethoven Concerto with the Russian National Orchestra under Vladimir Spivakov at the 2006 International Music Festival in Colmar. 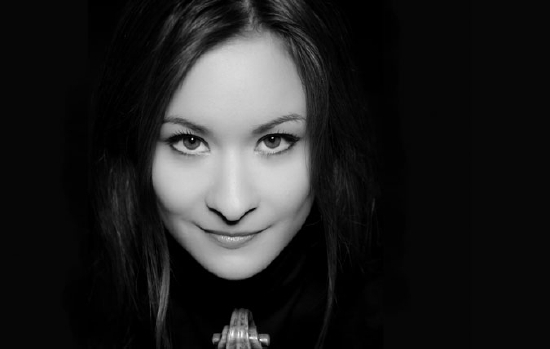 Born in Munich in 1981 to a German father and a Japanese mother, Arabella Steinbacher began studying the violin at the age of three. Her mother is a professionally trained singer who came to Germany from Japan to study music, and her father was the first Solorepetitor in the Bayerische Staatsoper, from 1960 to 1972. At nine, she became the youngest violin student of Ana Chumachenko at the Munich Academy of Music. She received further musical inspiration and guidance from Ivry Gitlis, whom she still meets regularly in Paris. In 2001, she won the sponsorship prize of the Free State of Bavaria and in the same year she was awarded a scholarship by the Anne-Sophie Mutter Foundation. From Anne-Sophie Mutter, who personally supports her, Ms. Steinbacher received a bow from the master luthier Benoit Rolland. The Orchestre de la Suisse Romande (OSR) was founded in 1918 by Ernest Ansermet, who remained principal conductor until 1967. The orchestra employs 112 permanent musicians and performs subscription concert series in Geneva and Lausanne, the symphony concerts of the City of Geneva and the annual United Nations concert, while playing for opera performances at the Grand Théâtre of Geneva. Marek Janowski has been the orchestra’s Artistic and Music Director since 1 September 2005. The Orchestre de la Suisse Romande achieved world renown under its founding conductor and succeeding music directors: Paul Kletzki (1967-1970), Wolfgang Sawallisch (1970-1980), Horst Stein (1980-1985), Armin Jordan (1985-1997), Fabio Luisi (1997-2002) and Pinchas Steinberg (2002-2005). It continues to make an active contribution to music history by discovering or supporting leading contemporary composers of works first performed in Geneva. They include Benjamin Britten, Claude Debussy, Peter Eötvös, Heinz Holliger, Arthur Honegger, Michael Jarrell, Frank Martin, Darius Milhaud and Igor Stravinsky. Since 2000, the OSR has given the world premières of around two dozen works in cooperation with Radio Suisse Romande. The orchestra also supports new music in Switzerland by regularly commissioning works from such composers as William Blank and Michael Jarrell. 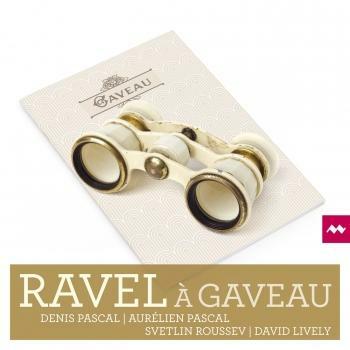 Music performed by the Orchestre de la Suisse Romande was broadcast on radio and shortwave early on in close cooperation with Radio-Télévision Suisse Romande and was thus heard by millions of listeners throughout the world. Thanks to its partnership with Decca, which gave rise to several legendary recordings, the orchestra’s renown continued to grow. 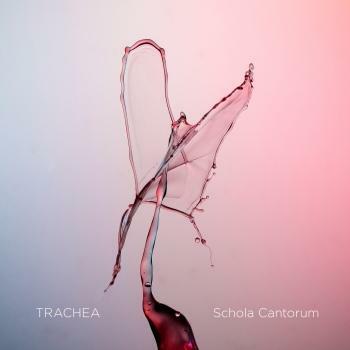 The OSR has also made recordings for Æon, Cascavelle, Denon, EMI, Erato, Harmonia Mundi, PentaTone and Philips, many of which have been awarded major prizes. 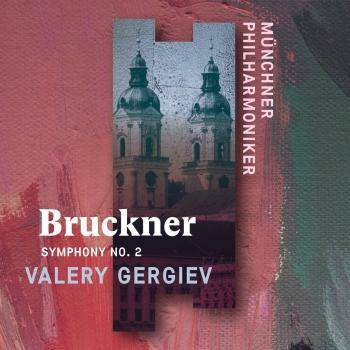 For PentaTone, it is recording Bruckner’s complete symphonies, a project which will be completed in 2012. The Orchestre de la Suisse Romande has undertaken international tours and performed in prestigious concert halls in Europe (Berlin, Frankfurt, Hamburg, Vienna, Salzburg, Madrid, Barcelona, Brussels, Amsterdam, Budapest, Istanbul, London, Paris, Rome, Milan, etc. ), in Asia (Tokyo, Seoul and Beijing), as well as in major cities in the Americas (Boston, New York, San Francisco, Washington, São Paulo, Buenos Aires, Montevideo, etc.). During the 2011-2012 season, the OSR will perform in Vienna and Cologne, and for the first time in Moscow and St Petersburg. A frequent guest of festivals, the orchestra has appeared since 2000 at the Budapest Spring Festival, Chorégies d’Orange, Festival de Música de Canarias, Lucerne Easter Festival, Radio France and Montpellier Festival, Menuhin Festival in Gstaad, Robeco Zomerconcerten, Septembre Musical in Montreux and the Bucharest Festival. Starting with the 2012-2013 season, Neeme Järvi will become the OSR’s Artistic and Music Director, with Kazuki Yamada as the orchestra’s Principal Guest Conductor. The Orchestre de la Suisse Romande is supported by the Canton and the City of Geneva, Radio-Télévision Suisse Romande, friends’ associations as well as by several sponsors and donors. For the concerts performed in Lausanne, the orchestra also benefits from the support of the Canton of Vaud. Marek Janowski has been Artistic Director of the Rundfunk-Sinfonieorchester Berlin since 2002 and in 2005 he was also appointed Musical Director of the Orchestre de la Suisse Romande in Geneva. He is in demand as a guest conductor throughout the world, working on a regular basis in the USA with the Pittsburgh Symphony Orchestra (where he holds the Otto Klemperer Guest Conducting Chair), the Boston and San Francisco Symphony orchestras, the Philadelphia Orchestra, and in Europe with the Orchestre de Paris, the Orchester der Tonhalle Zürich, the Danish National Symphony Orchestra in Copenhagen and the NDR-Sinfonieorchester Hamburg. Born in 1939 in Warsaw and educated in Germany, Marek Janowski’s artistic path led him from Assistant positions in Aachen, Cologne, Düsseldorf and Hamburg to his appointment as General Music Director in Freiburg im Breisgau (1973-75) and Dortmund (1975-79). Whilst in Dortmund, his reputation grew rapidly and he became greatly involved in the international opera scene. There is not one world-renowned opera house where he has not been a regular guest since the late '70s, from the Metropolitan Opera New York to the Bayerischer Staatsoper Munich; from Chicago and San Francisco to Hamburg; from Vienna and Berlin to Paris. Marek Janowski stepped back from the opera scene in the 1990s in order to concentrate on orchestral work and was thus able to continue the great German conducting tradition in the symphonic repertoire. He now enjoys an outstanding reputation amongst the great orchestras of Europe and North America. He is recognised for his ability to create orchestras of international standing as well as for his innovative programmes and for bringing a fresh and individual interpretation to familiar repertoire. Between 1984 and 2000, as Musical Director of the Orchestre Philharmonique de Radio France, Marek Janowski led the orchestra to international fame as the leading orchestra in France. From 1986 to 1990, in addition to his work in France, Janowski held the position of Chief Conductor of the Gürzenich-Orchester in Cologne, and between1997 and 1999 he was also First Guest Conductor of the Deutsche Symphonie-Orchester Berlin. From 2000 to 2005 Janowski served as Music Director of the Orchestre Philharmonique de Monte-Carlo, and from 2001 to 2003 he also held the position of Chief Conductor with the Dresdner Philharmonie. Marek Janowski has made many recordings over the past 30 years, including many complete operas and symphonic cycles, many of which have been awarded international prizes. To this day, his recording of Richard Wagner’s complete tetralogy The Ring Cycle with the Staatskapelle Dresden (1980-83) remains one of the most distinguished and musically interesting recordings that has been made of this work.